Coca-Cola supports the local sugar industry, particularly the small farmers in Negros Occidental. The company has unveiled plans to build water access facilities in the province. They will be using the self-sustaining Agos ram pump model to provide irrigation for block farmers in the sugar-rich province. The ceremonial opening of the water pipe from the Agos ram pump by Coca Cola Philippines President Winn Everhart. La Castellana Mayor Rhumyla Nicor-Mangilimutan cheers on. Block farming is a “method of grouping together small parcels of contiguous land to create a large tract of arable land.” Because of this, farmers are able to pool their resources together to cultivate a more productive farm. 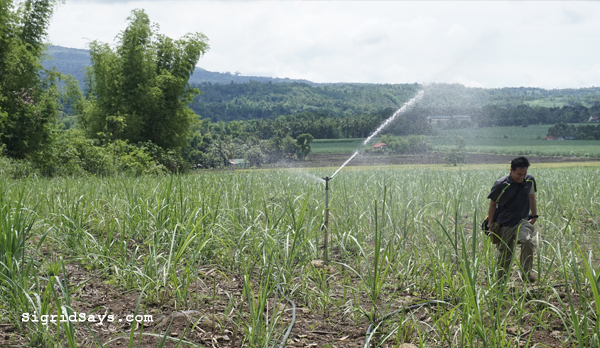 The sugarcane farm in La Castellana is one of the beneficiaries of the Agos ram pump project. “This Agos ram pump project is in line with our commitment to the sugar industry, particularly to the small farmers. We have promised that Coca-Cola Philippines will always be their partner. 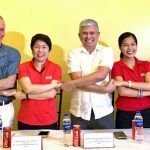 By finding ways of improving their farming, we are also helping achieve a stable local supply of sugar – an ingredient that is also integral to our business,” said Winn Everhart, president and general manager of Coca-Cola Philippines . 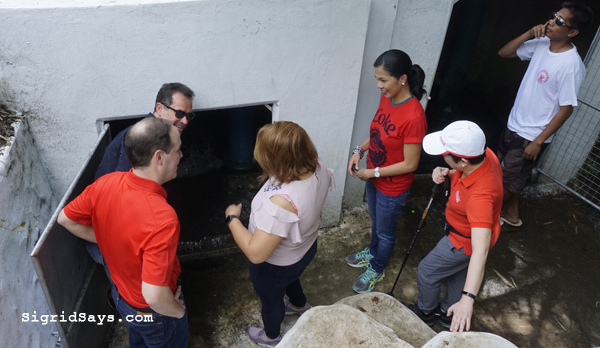 A ceremonial turnover of the water access facility was recently conducted at Sitio Dama in La Castellana. 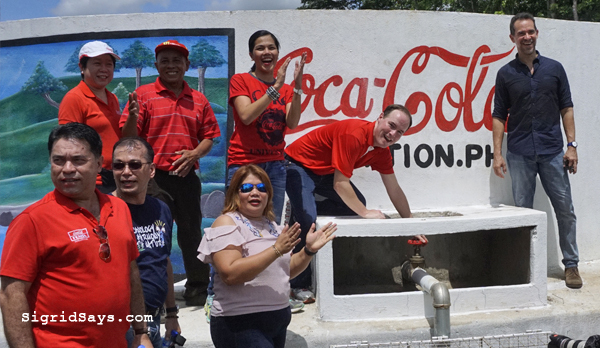 Everhart, together with employees from Coca-Cola Philippines, Coca-Cola FEMSA Philippines, and Coca-Cola Foundation Philippines, joined La Castellana Mayor Rhumyla Nicor-Mangilimutan. Agos ram pump installation in La Castellana, Negros Occidental. 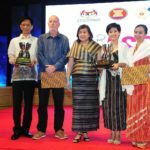 Together with its implementing partner, the Alternative Indigenous Development Foundation, Inc (AIDFI), Coca-Cola Philippines is looking to complete five more Agos ram pumps for block farming communities. These will impact 759 hectares of land used for sugarcane and rice in Negros Occidental. More than 500 households will also benefit from this project. Agos ram pumps are set up by AIDFI. Sitio Tayao and Brgy. 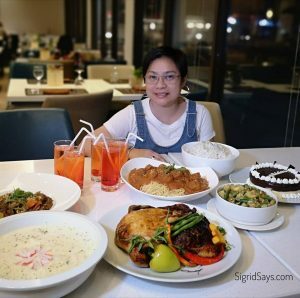 Camalanda-an in Cauayan. Mr. Everhart looks at the water flowing freely to the reservoir in La Castellana. 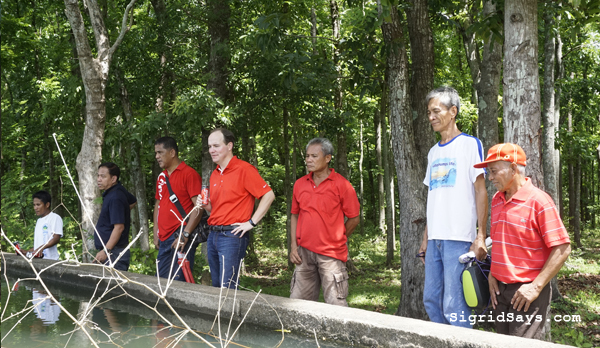 Since 2012, Coca-Cola has constructed over 43 Agos ram pump facilities in Negros. These facilities provide water access to upland communities who live far from their water sources. 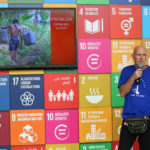 “We continue to strive to return to the communities or the environment every drop of water that we use in producing beverages,” said Cecile Alcantara, president of Coca-Cola Foundation Philippines. 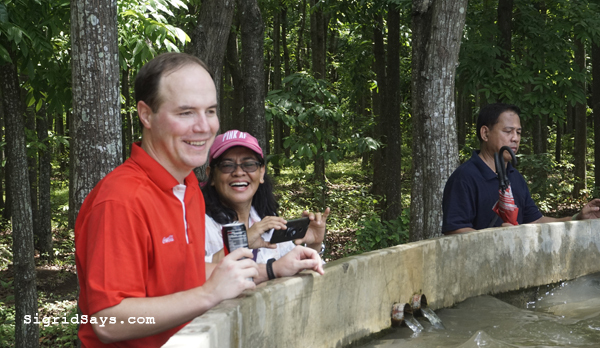 The Agos ram pump program of Coca-Cola is part of its global water stewardship initiative. It aims to safely return every drop of water the company uses in the production of its various beverages. This is helping the environment as well as the local communities. Mr. Everhart with some of the beneficiaries in La Castellana. Other water collection and access facilities made available by the Agos program include rainwater harvesting systems and gravity-fed installations. It is great that Coca Cola is helping out, where help is needed. Sound like it will be great for the environment and the local community. This is amazing! Coca Cola is such a great company doing great things. It helps me remember that good still exist and that we must help each other. Thanks for sharing! How awesome to hear that coco-cola are helping out with this great cause. It seems like it will be a great help to the local community! It’s good that Coca-Cola is involved in water stewardship even though I do not like the beverage and what its health impacts. In a region where it uses up a lot of potable water with not enough left for local arable farming, it’s really great that they’re returning back what was taken from the community. Yeah, I hope to see more projects like these from Coca-Cola in the near future. Oh wow I love this and good on Coca Cola for helping with this project. Its great to see then giving something back like that! 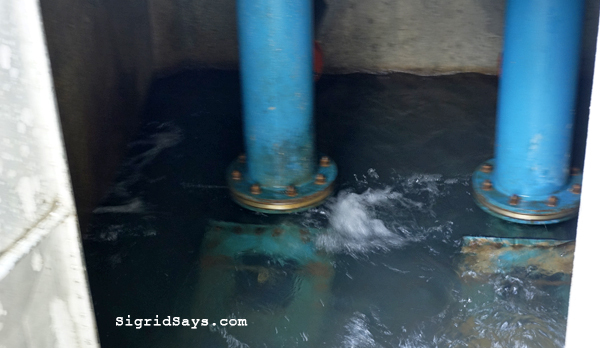 They really use up a lot of water so the Agos Ram Pump is a great help! Aaaw this is so beautiful to see! I had no idea that coca cola was doing projects like these so its nice to know! This sounds so awesome! I’ve always loved what the Coca Cola company do when it comes to community development and it’s nice to see them giving the pump to farmers. Very commendable! Good to know that Coca Cola is helping out the community with Agos Ram Pumps. I love the brand a lot.